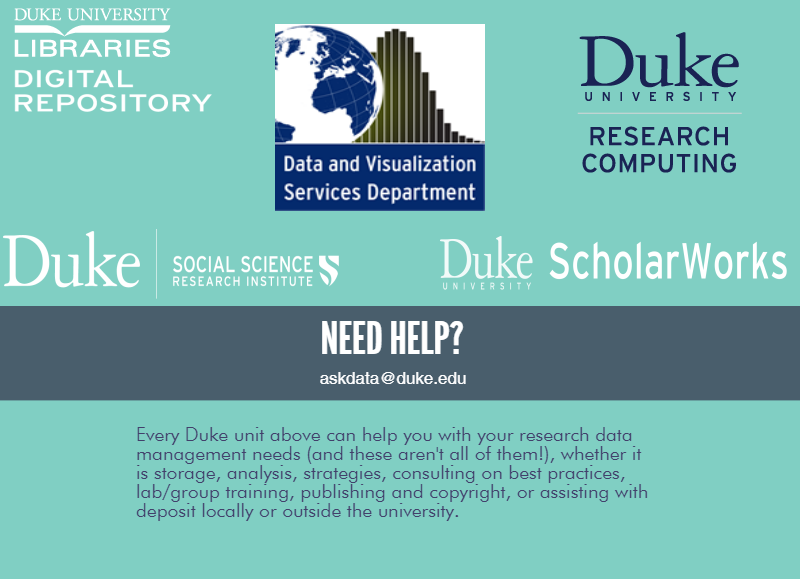 Contact us at datamanagement @ duke (dot) edu or attend one of our data management workshops. Research data management involves the activities researchers do to organize, describe, preserve, and share their data. 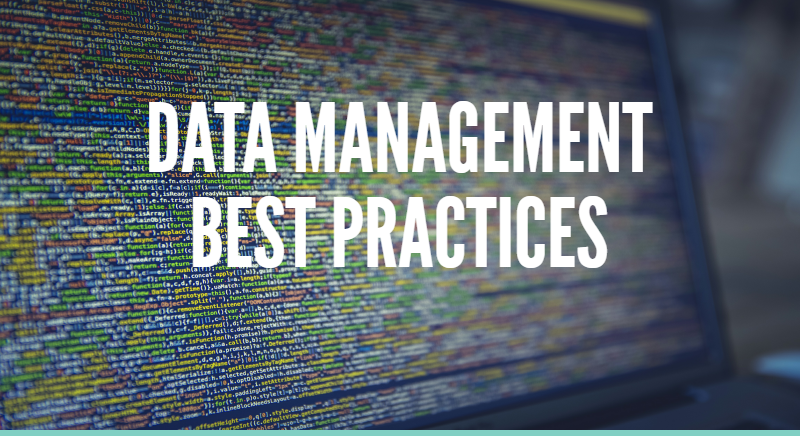 Good data management practices are integral to the entire research lifecycle, from planning for what kind of data you will collect to depositing your data set in a repository. But what are data? Research data are the original sources or materials (born digital or converted to digital) that were created or gathered in the process of your research. They serve as the foundation from which you draw conclusions and produce results/findings (test hypotheses, study trends, provide evidence, refute claims). They may be numeric or qualitative, structured or unstructured. 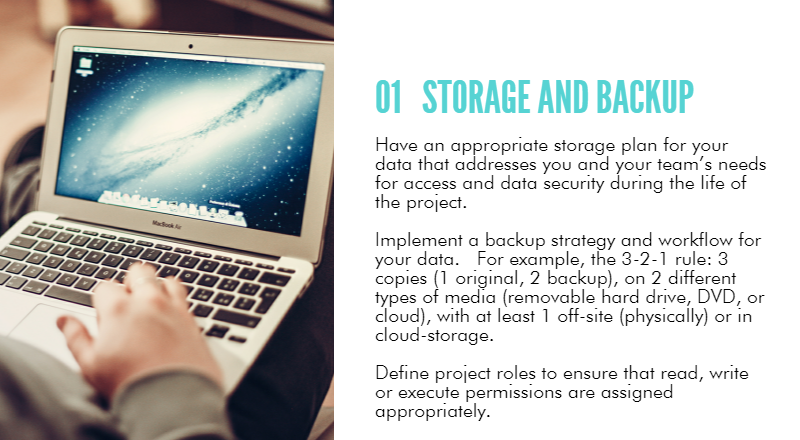 Among many possible forms, data may take the form of notebooks, statistical or spatial data tables, audio or visual recordings, photographs or models. 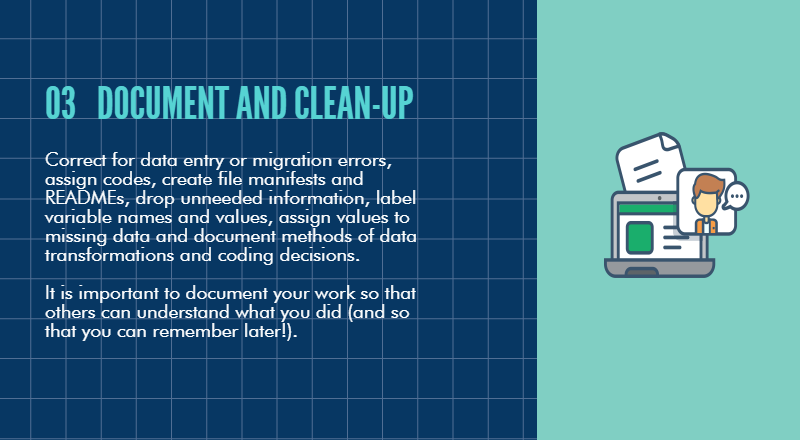 If a research funding agency requires a formal Data Management Plan, they will often provide some guidance as to what they consider data. 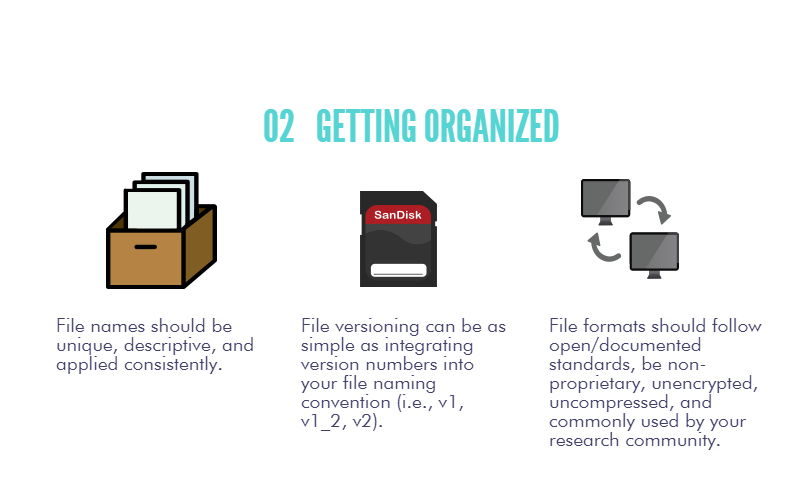 As technology has made it easier to share digital files, and as funders (public and private) and journals increasingly require data sharing for reproducibility and transparency, data management has become an important practice for researchers to follow. 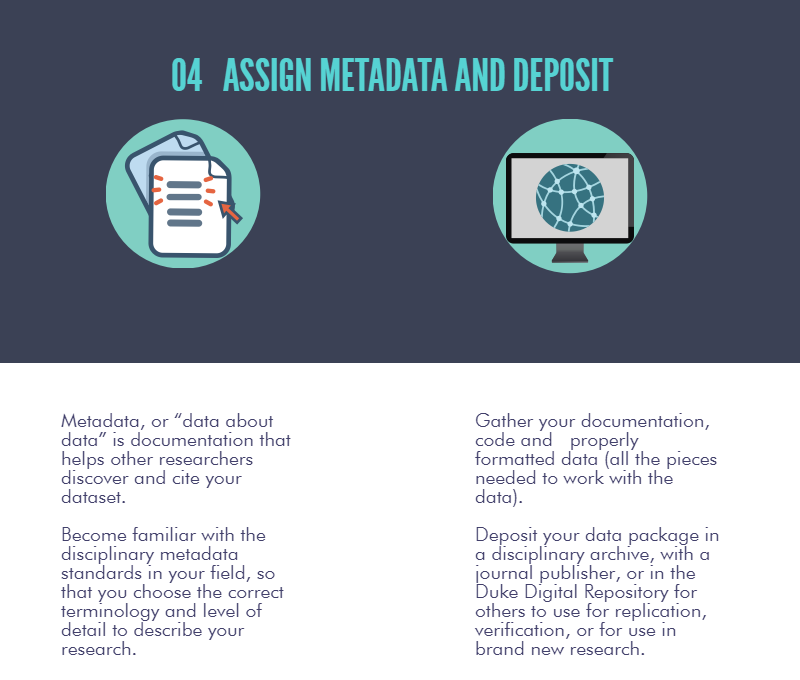 Sharing your research data allows for greater visibility and recognition of your body of work. Beyond traditional scholarly metrics, methods are being developed to track research data re-use to measure research impact. In addition, you are working to further science by allowing others to explore your data and use it in novel ways.